The following are the top stories in national newspapers today. Times of Malta says Valletta mayor Alexiei Dingli ruled a motion to remove the makeshift memorial for Daphne Caruana Galizia inadmissible at the end of a packed, chaotic council meeting. In another story, it says former Prime Minister Alfred Sant still doubts statements made by Konrad Mizzi about his controversial secret accounts but rubbishes the international spotlight on corruption in Malta. MaltaToday says doctors’ have put industrial action ‘on hold’ as a gesture of goodwill as it continues negotiations with the government. 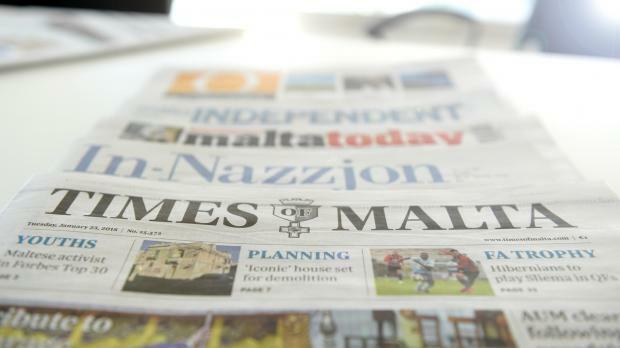 The Malta Independent says the Planning Authority is set to decide on the renewal of a permit for the relocation of the Mġarr fuel station on ODZ land. In-Nazzjon says that the Labour Party’s programme supposedly aimed to train women for politics was intended to prepare an army of people to work for MEP Miriam Dalli. L-Orizzont says farmers are pleased with the rain that fell at the end of last week.